New Publication on 21st century Leadership Wins Award! | scholarship lighthouse -- Spreading light on the sea of knowledge! 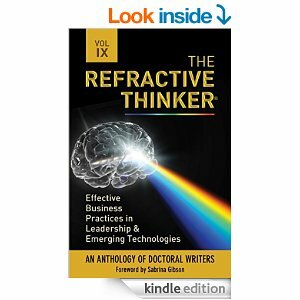 Our latest study, the eChap 9: Collaborative Innovative Leadership and Emerging Social Media Technologies of the book,The Refractive Thinker®: Vol. IX Effective Business Practices in Leadership and Emerging Technologies was given a Finalist Award in the 2015 Anthology category of the Next Generation Indie Book Awards!!! ← OUR BOOK WINS Gold 2014 Global eBook Awards! The Bronze Award for eLit Awards, & USA BEST BOOK AWARD!